Northwest National Real Estate: Sale Pending! Home For Sale! Sale Pending! Home For Sale! 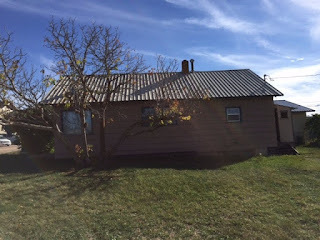 2 bedroom, 1 bathroom home for sale located in Philipsburg, Montana across from city park. This property has a nice large yard with older trees. The electrical in the house has been updated, new carpet, & remodeled bathroom. There is a detached, double car garage that has electricity and a dirt floor. Contact Dauenhauer Real Estate at (406) 560-4345 for a private showing. Priced to sell at $95,000!